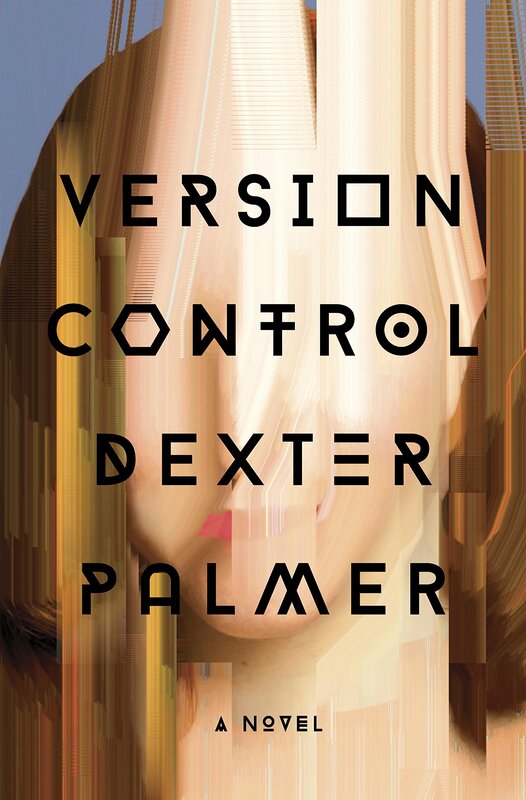 VERSION CONTROL – Dexter Palmer (2016) | Weighing a pig doesn't fatten it. Still, there is an important chunk of science fiction in Version Control: near-future technology and the effect it has on human lives. But the thing is, for most of the time it doesn’t really come across as science fiction, because Palmer mainly writes about things we already know: smartphones, the Internet, self-driving cars, Big Data, 3D-animation – he just takes it up a notch here and there. The end result reads as a realistic novel and even the few parts that seem a bit eccentric go down just as easily as we take GPS for granted today. Palmer manages to evoke a sense of wonder with an amazing naturalistic vibe. It’s a tour de force really, and while near-future stuff might not be the focus of the book – the characters are – it is a feast of the imagination nonetheless, and one that provides for a few stunning, perplexing scenes. The other Big Sci-Fi Thing in Version Control is the Time Machine. This is actually the first time travel novel I have ever read that gets things right: there is nothing of the time travel paradox to be found in so many other stories. Maybe this is because, again, this is not really really a time travel story to begin with. There’s none of the cool robots from the future as in Terminator 2, nor does it feature Vikings in a shopping mall as in The Rise And Fall Of D.O.D.O. Version Control is more in line with Groundhog Day and the German movie Lola Rennt, but it is nonetheless its own thing, and very much so. On a sidenote, Version Control is also the first instance I come across somebody actually addressing and tackling what I wrote in my short review of Wells’ The Time Machine: if you want to travel through time on our planet, you have to take the movements of our Earth, our solar system and our galaxy into account. Philip – a rationalist version of the mad, obsessed scientist trope – gets that. Palmer has a Ph.D. in English literature from Princeton, and his dissertation was about James Joyce, William Gaddis and Thomas Pynchon. It shows, as this novel is visibly constructed. But the construction suits the story, and it never becomes annoyingly artificial – on the contrary, on more than a few occasions I thought “well-done, hats off, this is some clever, elegant writing.” Seeing the way it works is part of this book’s joy. Likewise, this book is self-aware and meta: references to fantasy writing, science-fiction readers, Firefly, suspension of disbelief, you name it, but again, never overdone, never annoying, always in sync with the story itself. All this talk about construction and meta and Gaddis or Pynchon should not scare readers away: Version Control is not a difficult novel. I’m sure there’s more Easter eggs in the book than I found – I’m pretty proud to have spotted the extremely fitting and beautiful reference to Spielberg’s A.I. – but again, all that doesn’t distract from what VC is first and foremost: a great, human story. For the sake of analysis, let me point out how this novel uses the concept of time travel and something often connected with it: changing events that happened, killing Hitler, trying to change future events. There’s the actual time travel as in so many SF stories, but Palmer also uses it as a metaphor. Or not exactly as a metaphor – it works as a language game, using the double possible use of expressions like to ‘alter the past’ and ‘change the future’. By doing so Palmer shows that certain stuff that happens in our lives are forms of ‘time travel’ too. All that sounds more complicated than it is: suppose you learn something essential about your father you did not know: that alters the past you thought had happened. Similarly, sometimes something happens in your life that completely alters the future you had in mind for yourself. It’s not really time travel, but it’s real nonetheless: our mental images of reality – past, present and future – do change. Something else Palmer reveals is that humans do indeed live in different times simultaneously: like certain people still objecting to mixed race marriages, quite literary “living in the past” – or progressive liberals “living in the future”, depending on your point of view. But maybe the greatest insight that Palmer has to offer is something so obvious that I never thought about it before, at least not in the way he frames it. 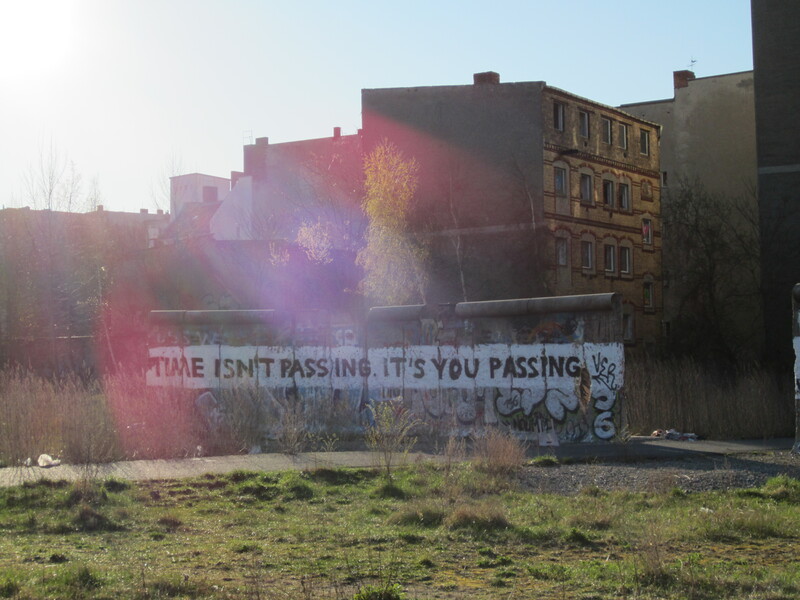 Time indeed moves forward. Put like that, it might not offer much more than a ‘duh’, but if you look at it like one of the characters formulates it, well, it kind of does the same thing Kim Stanley Robinson did for me with 2312 – the realization that we are on a giant rock hurtling through space – but this time not with Space, but with Time. And as we are all in that great time machine that is existence, we indeed have “the ability to change the trajectory of history”. One does not need a causality violation device to do that. But Version Control is a lot more than language games and intricate plotting. As I said, this is also a character novel, and one that appealed to multiple versions of myself. I recognized certain parts of Rebecca’s struggle to find meaning in her twenties, her struggles with addiction, multiple characters’ struggles with relationships, the struggle of parenthood. There’s a few downright fantastic moments and sentences that capture the essence of certain emotions and human behaviour so, so well, from diverse areas like funerals, adultery, children. The title works on many levels, and hints at maybe the most important lesson for humans in these times of perfectionism, burn-outs and helicopter parenting. Version Control is not only about protocols to change software code, or managing our online personas, or the possible steering of alternate realities. It is never articulated as such in relation with the title, but it is my firm belief the book is about the need to accept what we can’t control, as both the more scientific as the more religious characters provide each other with that very advice: we have to let go. If we let go, there is no need for version control. To end this section on the novel’s ideas, I want to highlight the following passage. Obviously, the belief in such a steering capacity is false, and it causes subtle mental problems for those who grew up without having known otherwise. The passage ties in neatly with what I wrote about control above. As such, Version Control‘s main message of letting go also applies here. But what I really want to highlight is the remarkable parallel the psychiatrist’s words above show with what R.S. Bakker wrote on his blog on April 29, 2018, in a fantastic – yet difficult – article on the ecology of human cognition and its consequences. Again, philosophy and science and passages about identity and information don’t dominate the book: Version Control is neatly balanced between the time travel stuff, the characters, its ideas and the near-future sociology/technology. That technology brings me back to the beginning. Is this a better book than Zero K? Version Control is decidedly more rich, but that’s partly because it is longer – 495 pages can carry more information than 274. And while DeLillo’s prose is more poetic, Palmer’s writing is fresh and sharp and crisp; his pacing and his structural use of time and point of view easily surpass DeLillo’s. Both books are emotional, both highly imaginative, and as such on the same par. I’d rather not choose. Yet, if we take the future into account, Zero K might become the better book. Version Control is very much a book of these times. Obviously every book is of its times, but in 20 or 30 years from now, some readers might hold it against Dexter Palmer that some, possibly a lot, of his future projections are off – gravity waves have been detected, Dexter! As such, Version Control says more about the world Americans and Europeans live in today than Zero K does. Don’t dwell on it too long: you should have read it yesterday. This entry was posted in Reviews and tagged 2010s, Dexter Palmer, Review, Science Fiction, time travel, Version Control. Bookmark the permalink. When was a time humans felt adequate to their surroundings? It seems to me that since gaining self-awareness the ideal of being one with one’s environment has been unattainable. That’s why we see it as an ideal, I guess. And honestly, when has any human tribe been perfect? I think Bakker wrote that part as a way to compare things, and didn’t mean to say in absolute terms that human cognition was ever fully apt. Thanks for putting up the link today to this post. I didn’t see this and while I don’t have a lot to say, I am glad I read it. It will please you that the minister character in the book does a really good job defending his view on things. Palmer treats things respectfully. The different take on time travel – a theme I always approach warily due to not-so-good past experiences – sounds like an intriguing concept, and one I might want to explore. Thanks for sharing! My experience with time travel stories is also a bit shaky, but I can 100% recommend this, and then some. I remember Alastair Reynolds’ Century Rain also to be a different approach to the manner, but I forgot the details. Asimov’s End Of Eternity practically nailed it, but in the end failed to. Rise And Fall Of D.O.D.O. is entertaining, but has such a huge paradox I’m sure it’s a joke by Stephenson. Then again, getting it right without a paradox is difficult, so I guess he didn’t even try. Thank you for the kind words! I hope you’ll like this book, looking forward to your take. On a sidenote: my favorite KSR book is Aurora, so do check that out, even if you would not like 2312. If I look at your all time greats, there’s a bit of overlap, so I’m pretty confident you’ll love Aurora. I like how the author makes those things that would otherwise be scifi seem so plausible and realistic. Your praise for this definitely has me curious about the title, and the author. Thanks for sharing. Yes it really is remarkable. It’s as if Palmer used some SF tropes to tell a literary story, the SF not being the goal. For a lot of authors SF ideas and worldbuilding come first, and characters later. If you decide to read it, do review it on your blog, curious about your thoughts.